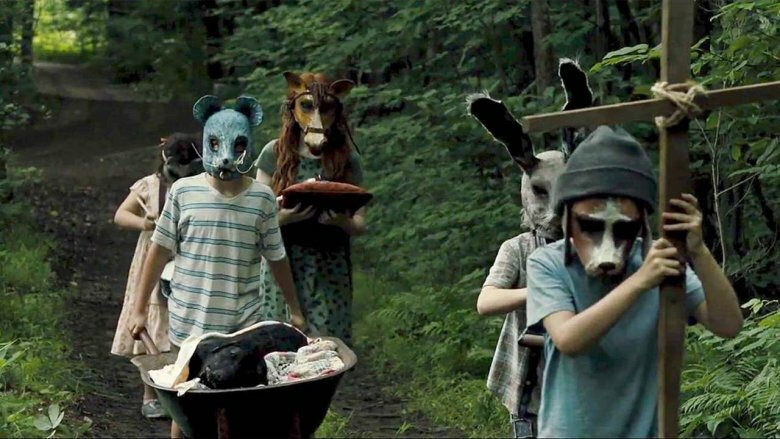 By now you may have seen Pet Sematary, the new horror film directed by Kevin Kölsch and Dennis Widmyer and based on a novel by Stephen King. The book was previously adapted to film in 1989, but the new version has a darkness to it that surpasses the '80s horror tone of the original. It stars Jason Clarke and Amy Seimetz as Louis and Rachel Creed, a couple from Boston who move to rural Maine with their two kids. There they meet an elderly neighbor named Jud Crandall (John Lithgow), who ultimately reveals to Louis the secret of the pet "sematary," a local burial spot for beloved animals that conceals an ancient evil which can bring the dead back but in corrupted form. If you enjoyed Pet Sematary, you may be looking for some similar films to take you on equally horrifying journeys. 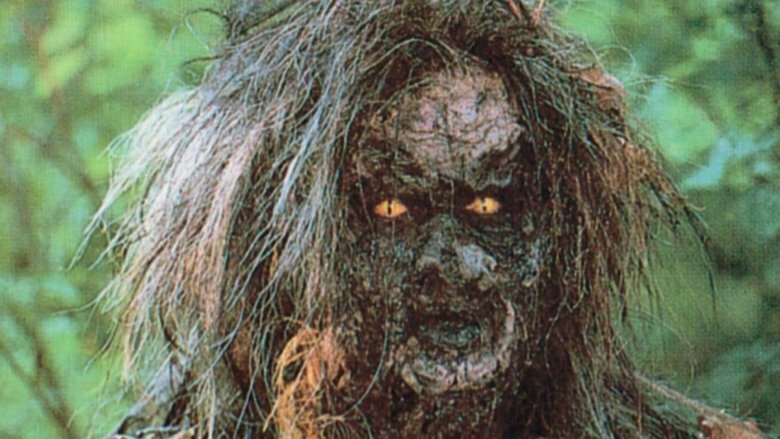 Here are a few previous movies made by the people who made Pet Sematary great, plus more that feature desperate fathers, corrupted places, and undying evil lurking in the depths of the forest. If you really liked Pet Sematary, the first film you should check out is Starry Eyes, the Kickstarter-funded breakthrough by Pet Sematary directors Kevin Kölsch and Dennis Widmyer. At first glance the two films couldn't be more different, other than sharing the horror genre. Whereas Pet Sematary is about a family in the country, Starry Eyes is about a young single woman living in Los Angeles. Sarah Walker (Alex Essoe) is an aspiring actress who's just about to lose hope of getting her big break, until a casting director catches her having a breakdown after a failed audition and suddenly becomes interested in her for a mysterious project. As she becomes more closely involved in the film and its weirdly arcane production company, it becomes clear that there's something evil behind the entire project — and that evil might just consume her identity. Aside from Kölsch and Widmyer's involvment, what unites their latest film with this one is the sense that a supernatural trap has been laid for the protagonists. Like Louis Creed, Sarah Walker makes the choices that lead to her own doom, but at the same time both characters are constantly being pulled toward those choices by dark unseen forces that are probably impossible to resist. Winchester, directed by the Spierig brothers, didn't get very good reviews. Still, if you really enjoyed Jason Clarke's performances as Louis Creed in Pet Sematary, you might want to revisit his other recent horror film performance, in which he deals with some of the same emotional turmoil, as well as people returning from the dead. In Winchester, Clarke plays Doctor Eric Price, a physician hired by the Winchester gun company to assess the mental health of Sarah Winchester (Helen Mirren), the widow of the company's founder, who has retreated into a mazelike mansion (the real-life Winchester Mystery House) after becoming convinced the family is cursed by the ghosts of people killed with their guns. 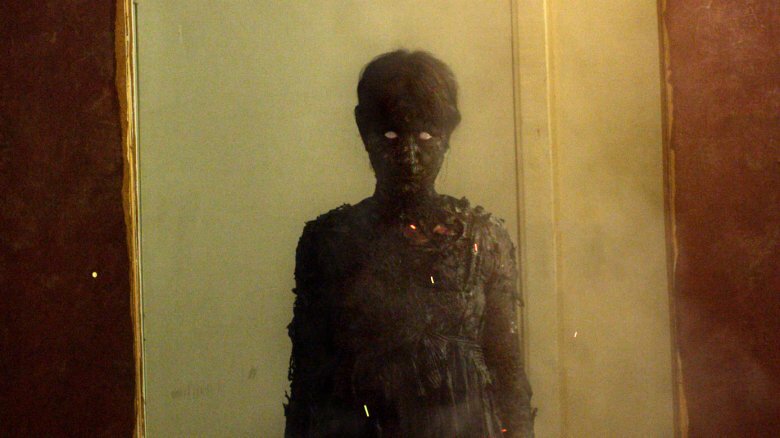 While staying at the house, Price begins encountering ghosts himself, including his own late wife (Laura Brent), whose suicide still haunts him. 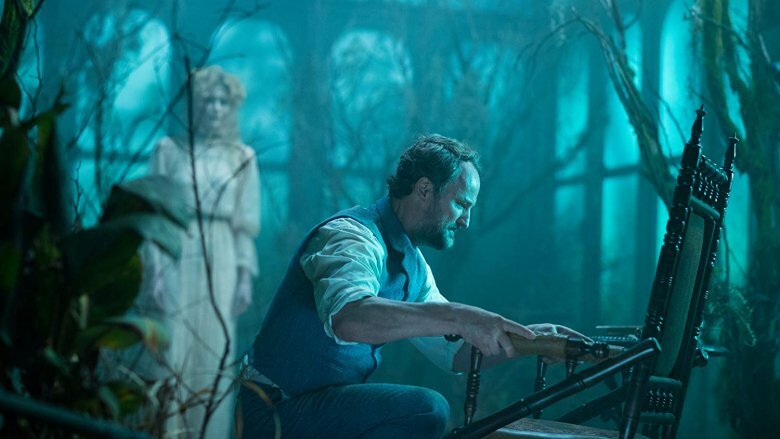 Winchester is a much more sprawling haunted house story compared to the taut suspense of Pet Sematary, but Jason Clarke gives a strong performance if that's what you're there to see. 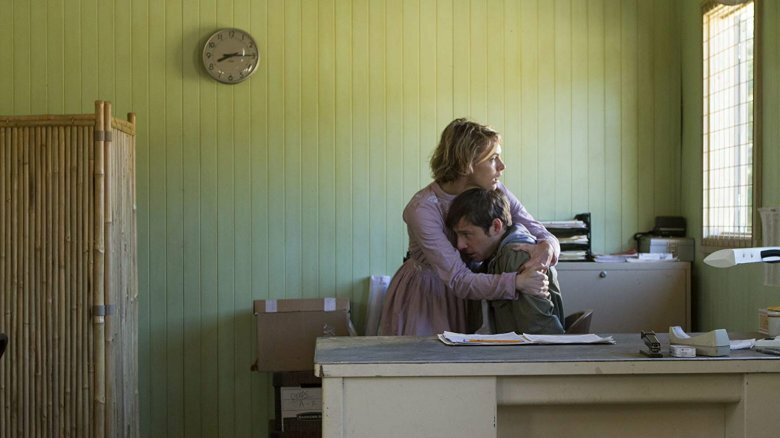 If you'd like to see more from Amy Seimetz, who plays Rachel Creed in Pet Sematary, take a look at Ti West's found-footage thriller The Sacrament, a fictional film very obviously inspired by the Jonestown massacre. Seimetz plays Caroline, a former drug addict who has joined a cult called Eden Parish, led by a charismatic prophet the members call Father (Gene Jones). Caroline invites her photographer brother Patrick (Kentucker Audley) to visit the cult's remote compound, but he arrives accompanied by two colleagues (AJ Bowen and Joe Swanberg) who want to turn the visit into a documentary. At first everyone in Eden Parish seems happy and speaks glowingly of Father, but the longer the outsiders are there, the more it becomes clear there's something nasty under the surface of the seemingly peaceful community, with some members begging for help escaping. When Father realizes his will is being defied, everything descends into chaos, and it becomes a struggle for anybody to get out of the community alive. If you enjoy Seimetz's work, she also stars in Shane Carruth's surreal sci-fi film Upstream Color, as well as Alien: Covenant, Ridley Scott's most recent chapter in the Alien saga. Twilight Zone: The Movie is an anthology film in which several big-name directors remade episodes of the classic TV series. With extremely 1980s aesthetics and no small amount of comedy, it's an odd match for Pet Sematary. 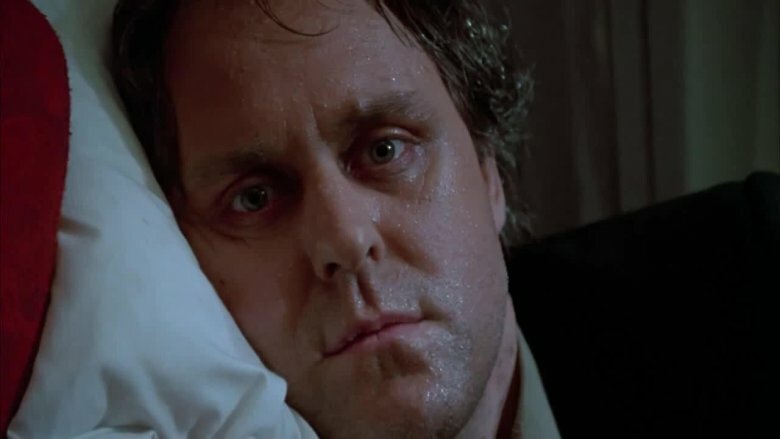 Nevertheless, if you enjoyed John Lithgow's excellent performance in that film, you might like to see his previous best-known horror work, which comes in the George Miller-directed "Nightmare at 20,000 Feet" segment of Twilight Zone. Much as Lithgow has now taken the mantle from Fred Gwynne, who played Jud Crandall in the 1989 film of Pet Sematary, in Twilight Zone he played a part originated by a different television legend: William Shatner. In the original 1963 The Twilight Zone episode "Nightmare at 20,000 Feet," Shatner played play a man who sees a monster on the wing of the airplane on which he and his wife are passengers, and then can't get anyone to believe it's real. In the movie version Lithgow's character is alone, and the creature on the wing has a far more terrifying appearance than the woolly original. The same story is also retold in the 2019 Twilight Zone series, with Adam Scott in the role and the monster replaced by a foreboding podcast, which works better than it sounds like it would. Lithgow's version is worth revisiting, however. He's really great at playing desperation, a skill that was also put to great effect in Pet Sematary. 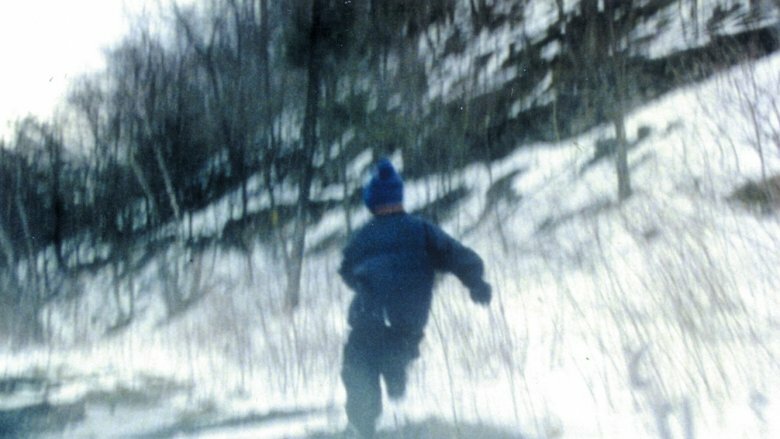 Larry Fessenden's Wendigo doesn't share any talent with Pet Sematary, but you could argue that it shares a villain. The Wendigo is a demonic creature from Algonquian mythology. Living in the woods of the North Atlantic region, it eats people, and in some versions of the story possesses people and causes them to eat each other. Like Pet Sematary, Wendigo focuses on a family that leaves the city behind only to find that there's a terrifying presence in the New England woods. George (Jake Weber) wants to relax in a cabin with his wife Kim (Patricia Clarkson) and young son Miles (Erik Per Sullivan), only to end up facing an evil presence bearing down on them. Miles encounters a Native American shop owner (Shelly Bolding) who tells him the legend of the Wendigo, and Miles becomes convinced that's what's in the woods — and perhaps inside his father as well. As the wall between reality and myth appears to collapse, the Wendigo eventually appears onscreen far more directly than in Pet Sematary. There's no worse feeling that missing someone you loved who's died and wishing to have them back, but what if having them back was worse? What if they came back wrong? That fear is central to Pet Sematary, and it's also at the heart of Jeff Baena's delightful horror comedy Life After Beth. Starring Dane DeHaan, with Aubrey Plaza as the title character, Baena's film tells the story of a young man named Zach, who mourns the death of his girlfriend and then finds her suddenly, surprisingly, alive. Beth's parents (John C. Reilly and Molly Shannon) can't explain how Beth is back, but it soon becomes clear that she's a zombie, and the longer she's around the more Night of the Living Dead-like she becomes. Obviously this is a much more lighthearted film than Pet Sematary, but it deals with similar themes, especially as the zombie problem grows and Zach comes to realize it may be up to him to send Beth back to the grave where she belongs. Like Pet Sematary, Ted Geoghegan's We Are Still Here begins with a family moving into a house in rural New England. Paul and Anne Sacchetti (Andrew Sensenig and Barbara Crampton) are already mourning the death of their son Bobby, and they soon find that their new home is an evil place where the barrier between life and death is thin. In fact, Anne begins seeing Bobby and other ghosts as soon as they arrive. It seems the house was built as a funeral home, and the original owners disappeared after people found that their loved ones weren't really being buried. Over the course of the film, as scarier and deadlier hauntings occur, it turns out there's an evil force underneath the house, and it needs to be fed human lives every 30 years. The nature of the supernatural evil in this film is quite different from Pet Sematary, but the way that it resonates with themes of mourning and loss, externalizing the emotional devastation that those who've lost a child feel, is extremely similar. That's a pretty dark theme to go looking for, but if Pet Sematary resonated with you on that level, We Are Still Here certainly will too. 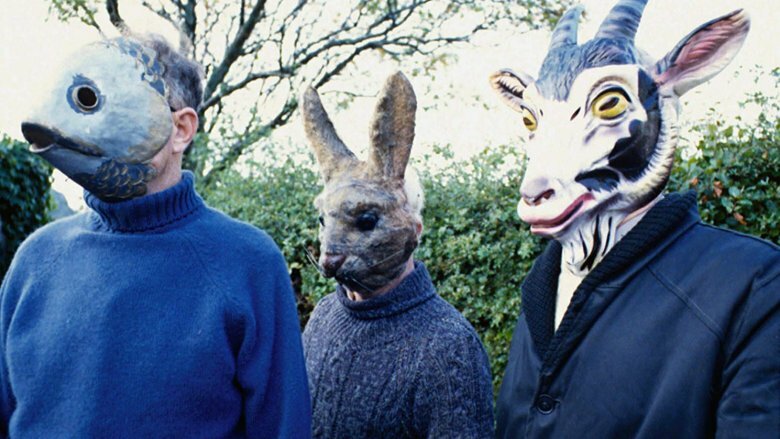 Yes, the British horror classic The Wicker Man, directed by Robin Hardy, features people in creepy animal masks similar to the ones the children wear in Pet Sematary, but that's not the only connection. From the moment that policeman Neil Howie (Edward Woodward) arrives on the remote island known as Summerisle to investigate the disappearance of a young girl, he unwittingly becomes part of a game that he can't win. As a child explains during the movie, he's like a beetle tied to a string with the other end nailed down, winding himself ever closer with every move he makes, until there's no more string and no more hope. Although there are hints of supernatural forces at work in The Wicker Man, Howie turns out to be trapped not by an evil spirit, but by the island's ruler Lord Summerisle (Christopher Lee) who needs him as a human sacrifice to the pagan gods worshiped by the islanders. The image of a desperate man who can't escape his fate is still similar to Pet Sematary, however, as is the invocation of malevolent nature spirits and dark gods. While we're at it, this film is a horror classic that pretty much anyone who enjoys scary movies should watch. Avery Crounse's nearly forgotten horror film Eyes of Fire is set in colonial times, and focuses on a religious faction that takes to the wilderness in search of a new home after their preacher Will Smythe (Dennis Lipscomb) is accused of having adulterous affairs with too parishioners, the married Eloise (Rebecca Stanley) and the mentally unstable Leah (Karlene Crockett), who may also be a witch. Despite the awkwardness, Eloise's husband Marion (Guy Boyd) also joins the group, and his knowledge of local Native American tribes becomes invaluable. He leads the group into a valley that the local Shawnee tribe is afraid to go near, figuring that will protect the settlers from attack. He's right about that, but the problem is that the Shawnee are right too — there's an evil spirit in that valley, and it soon comes for the new occupants. Eyes of Fire's story of an evil place haunted by Native American spirits provides an obvious connection to Pet Sematary, but it goes a bit deeper than that. There's also the theme of how that evil preys on different characters differently, and how fleeing from society can lead well-meaning characters directly into the jaws of something much worse. The Devil's Candy, written and directed by Sean Byrne, is another movie about a father (Ethan Embry) who moves with his wife (Shiri Appleby) and daughter (Kiara Glasco) into a rural house and finds the area infested with evil. Embry's character Jesse Hellman is a struggling artist, and in this new setting his paintings suddenly spring to life with a dark, visibly Satanic influence. The creepy things he paints are nothing, however, compared to the actions of Ray Smilie (Pruitt Taylor Vince) a hulk of a man who kills children to feed them to the Devil, and who used to live in the same house. When the same force that's begun corrupting Jesse also leads Ray back to the house, and to Jesse's daughter, the Hellman family has to struggle to escape with both their lives and their souls. 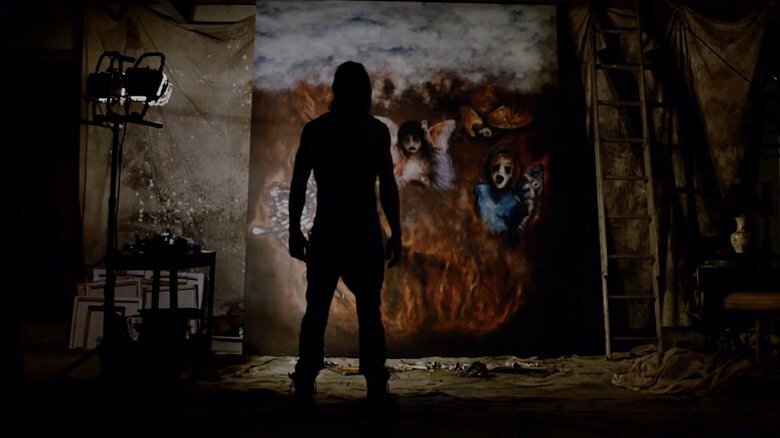 The evil force in The Devil's Candy, as the title implies, is much more Biblical in nature than the wendigo in Pet Sematary, but the parallels should be obvious. Also, in The Devil's Candy there's no hint of resurrection, only the threat of death and the possibility of Hell. David Bruckner's The Ritual is a particularly interesting recent take on the "evil presence in the woods" subgenre of horror that also includes Pet Sematary. In The Ritual, four friends (Rafe Spall, Arsher Ali, Robert James-Collier, and Sam Troughton) go hiking in remote Sweden in memory of their dead friend (Paul Reid), who had been trying to talk them into such a trip the night he was killed. As the men journey deeper into the wilderness, they find not only an ancient antlered beast, but an undead cult that worships it. One by one the creature and its followers pick off the outsiders, until it becomes a story of one man desperately trying to escape the woods before the evil within those woods consumes him. The creature here is referred to as a jötunn, one of the godlike giants of Norse mythology, but it could easily be the European cousin of the North American wendigo. 1922, a Netflix film directed by Zak Hilditch, is the only movie on this list adapted from other work by the original author of Pet Sematary, horror legend Stephen King. 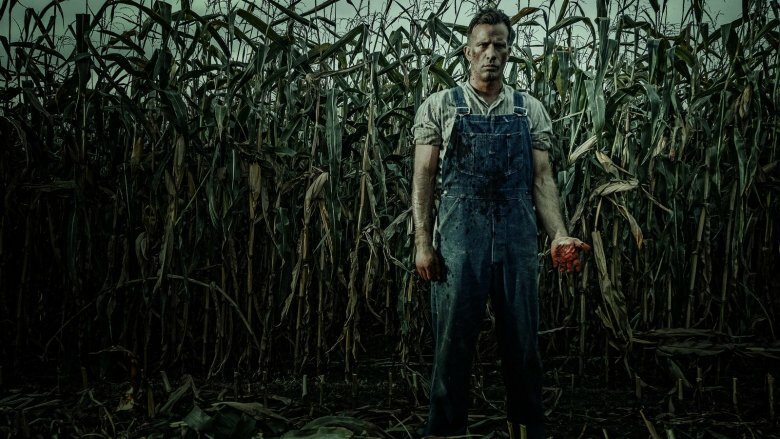 It stars Thomas Jane as Wilfred James, a farmer who decides to murder his wife Arlette (Molly Parker) and convinces his teenage son Henry (Dylan Schmid) to help. Once Arlette is dead and buried in the well, everything spirals downward for Wilfred. He's haunted figuratively by guilt-stricken Henry's choice to run away and pursue a life of crime with his girlfriend Shannon (Kaitlyn Bernard), and haunted literally by the ghost of Arlette. As Wilfred's life spirals downhill, his house becomes infested with rats, which in turn infect his body through a terribly infected bite. 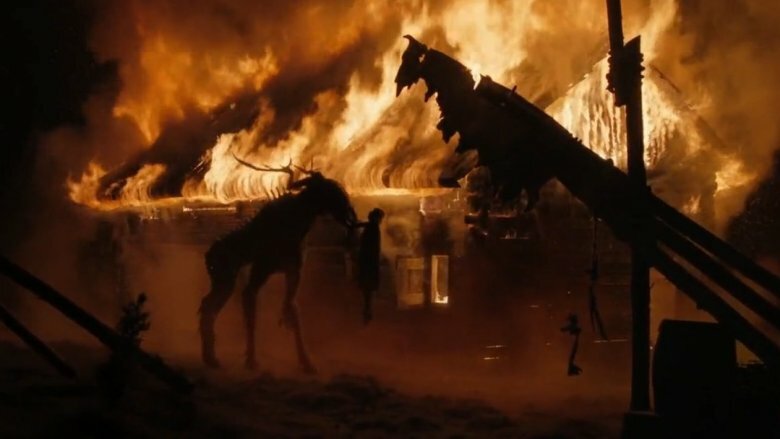 Like so many of the movies on this list, 1922 is the story of a family that becomes infested with evil, and in turn infuses that evil into the house and the land around them. One of Stephen King's recurring themes is that the literal monsters and ghosts within his stories not only exert a corrupting influence on the protagonists, they reflect the corruption already within those characters. All people are corrupt on some level, or so King might tell us, and letting that corruption dominate your choices can only lead to greater darkness and the spread of evil through the world. That's a message at the heart of Pet Sematary, and central to many of the best examples of the horror genre, including most of this list.